When a home suffers a water damage event, a mold infestation can quickly arise and spread throughout a home in 48-72 hours. Because mold can produce allergens and irritants, you will want a professional that has training and experience to properly resolve the mold infestation. 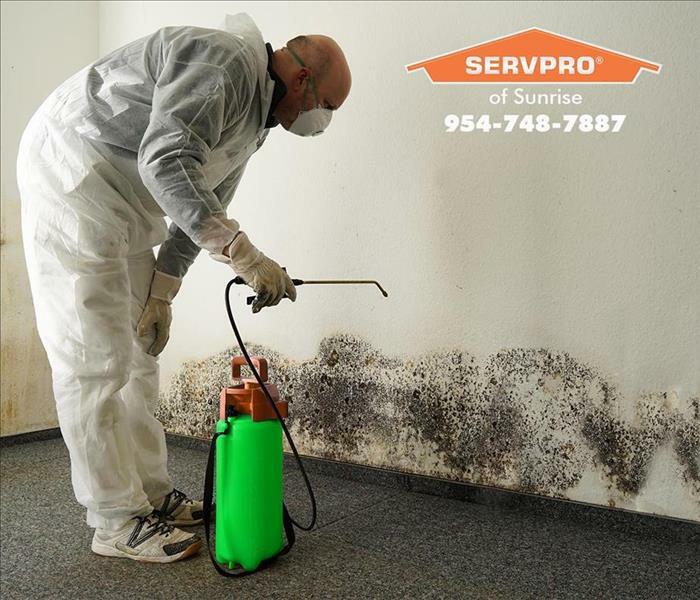 If you suspect that your Fort Lauderdale home or business has a mold problem, SERVPRO of Sunrise can inspect, assess and remediate your property. SERVPRO of Sunrise is locally owned and operated, so we are part of the Fort Lauderdale community too. When you have a water or mold damage issue, we’re already nearby and ready to help. We’re also part of a network of over 1,700, including special Disaster Recovery Teams placed strategically throughout the country to respond to large-scale fire, water, and storm disasters. To keep the mold spores from spreading further, we will use various mold containment procedures. Our professionals may use physical barriers and negative air pressure to isolate the contaminated area and to help prevent the mold spores from spreading through your Fort Lauderdale, FL home or business. Also, we’ll turn off the property’s fans and heating and cooling systems to prevent the spread of mold. SERVPRO of Sunrise will use a variety of cleaning techniques and products to clean your furnishings and personal belongings. Since mold infestations also cause a persistent musty odor, our professionals are also trained to remove odors and provide deodorization using fogging equipment. During the remediation process, it’s often necessary to remove porous building materials like subfloors, drywall, and carpet. The restoration step returns your Fort Lauderdale, FL home or business back to normal. Depending on the severity of mold damage, the restoration step may involve minor repairs, such as replacing drywall, or it may involve a substantial reconstruction project. 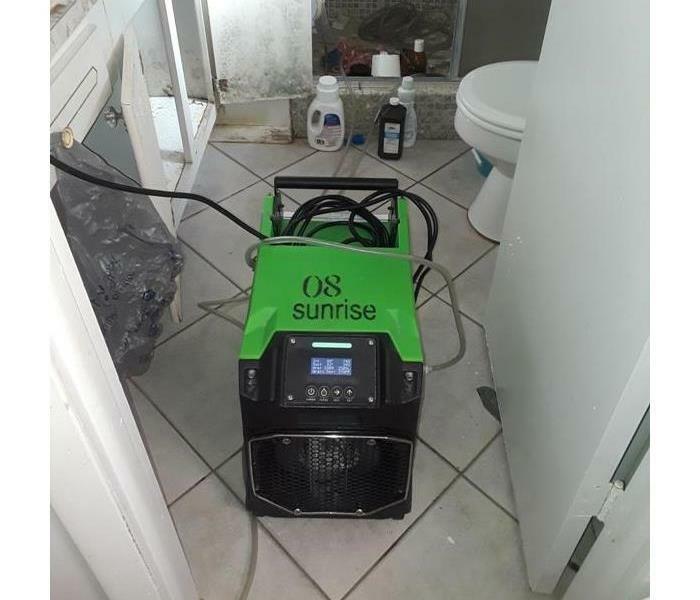 In Fort Lauderdale, FL, SERVPRO of Sunrise is ready to tackle and resolve any mold issues that arise. SERVPRO professionals understand the anxiety that can happen when a homeowner uncovers mold. Let us help put your worries to rest. Our knowledgeable crew is ready with the gear needed to tackle any mold job. 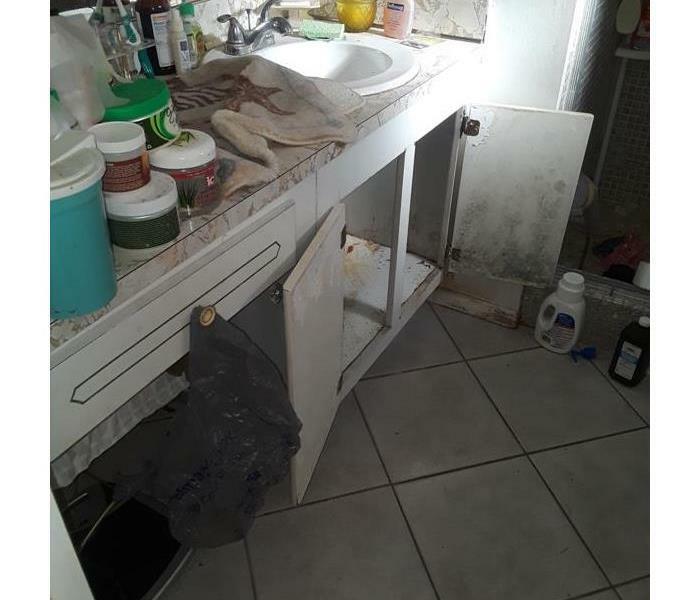 Reach us at (954) 748-7887 - We’re ready to activate our team to remediate your mold.